State Court Litigation; Governance (Brown Act, Public Record Acts, Conflicts of Interest); General Education Code Issues; Land Use and Facilities matters; Contracts; Labor, Employment, and Personnel matters; Student Issues; Construction disputes; and General Business matters. Ms. Henry’s practice will focus on assisting school districts, county offices of education, and community college districts with transactional advice and litigation regarding governance, land use, personnel, and student matters. Ms. Henry has over seventeen years of experience in the practice of law. She has eight years of experience representing public entities including school districts. She handled or assisted with litigation in state and federal court for cases involving construction dispute claims, zoning, tort liability, and labor and employment matters. 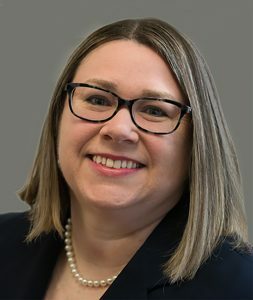 Ms. Henry enjoys providing creative and effective solutions to complex public liability issues through proactive preventative measures such as workshops and legal updates, resolving litigation through early settlement, and streamlining existing processes to optimize the opportunity for successful win-win outcomes. Prior to joining SCLS, Ms. Henry practiced as a senior litigation associate at two public education law firms in the Bay Area and served as Deputy County Counsel III for Tulare County. She handled governance, facilities, personnel and student matters for K-12 public school districts, community college districts, and county offices of education. Most recently, she owned her own practice in which she specialized in general business matters, environmental litigation, and cannabis law. Ms. Henry has a passion for public education. She served a four-year term as an elected governing board member for the Dublin Unified School District (2006-2010). She also served as a board member for Alameda County Bar Association’s Labor and Employment section, and the Oakland non-profit Centro Legal de la Raza.